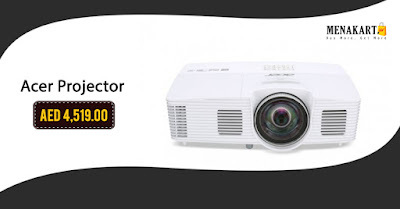 The Acer H6517ST Projector brings movie quality projection with rich details, bright and natural colors and exceptional contrast. Color performance is enhanced on any surface, even colored walls through Acer's eColor Boost 3D technology and wall-color compensation, while Color Safe II prevents color decay resulting from extended use of the projector. Handy installation utilities make setting up easy, and power-management solutions yield great energy savings while conserving the earth's resources.